M.C. 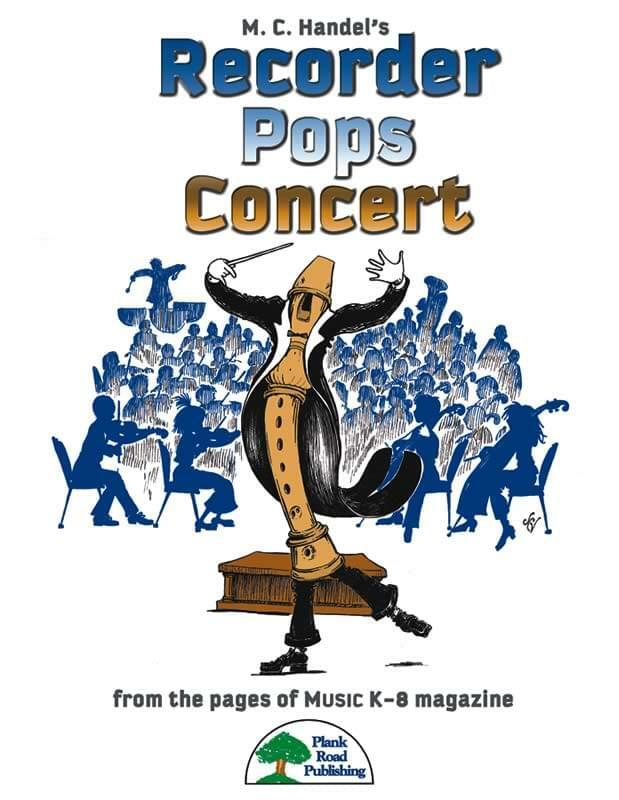 Handel goes to the Pops! These distinctive arrangements and appealing originals for young players feature truly amazing instrumental orchestrations that really set them apart from other recorder pieces. These five songs come from Volume 15 of Music K-8 magazine, and each will add a special, new dimension to your recorder program. B A Cowboy - Trumpets! Horns! Cattle! M.C. and Teresa Jennings have teamed up to bring your students the sounds of a big Western movie score. This wonderfully symphonic piece conjures up images of great expanses of land, cattle drives, and galloping horses. And of course, the real beauty is that your young players will be able to play along confidently using only the beginning notes B and A. They will be able to focus more on the reading and the rhythms than on too many notes and fingerings. Sleigh BAG - Inspired by a certain other familiar "sleigh" song, this simple ditty allows your young recorder players to focus on the notes B, A, and G. Definitely seasonal sounding, the tune will also give your performers a chance to show their stuff at your holiday concert. The orchestra and big band on the background recording will get your audience members tapping their toes, too. 'Round About Morning - The lyrical solo trumpet and orchestra make this sweet round pleasant to listen to and pleasant to play. It also accomplishes two important things for beginning recorder players. First, it adds the notes low D and low E to their repertoire of B, A, and G. And second, it introduces them to part playing. Outside The CAGE - This piece was written for recorders and percussion and as such, it includes both a recorder/C instrument part and a percussion part. The recorders play only the notes C, A, G, and low E, as the title suggests. The percussion part includes cowbells, rhythm sticks, tambourines, hand drums, and claps. The recording includes a classic rock 'n' roll horn band, as well as rhythm section and strings. Blue Smoothie - For this song, the style is cool jazz backed by a very hot big band and even the occasional visit from a theatrical string section for added pizzazz. In many ways it is a very simple song, essentially an A minor blues, that uses just A, B, C, and D. And it can be performed with just quarter and half notes if you like. You can also use the tracks to teach simple improvisation using just these same notes.